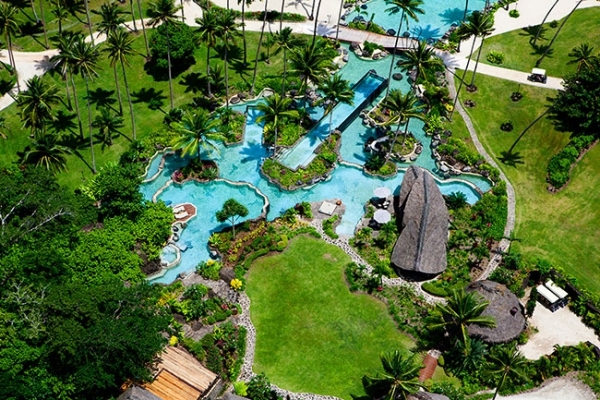 This stunning resort is the perfect place to enjoy a relaxing break and get away from the hustle and bustle of the busy life. 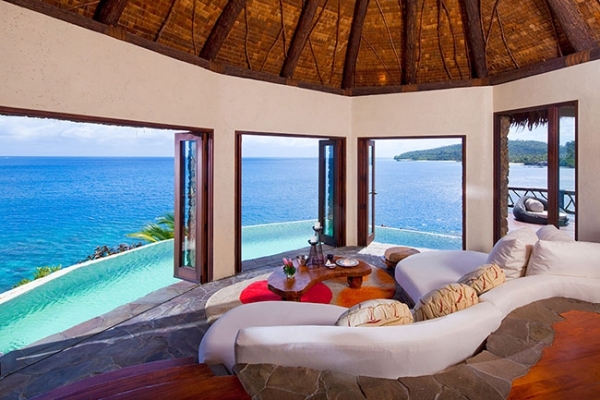 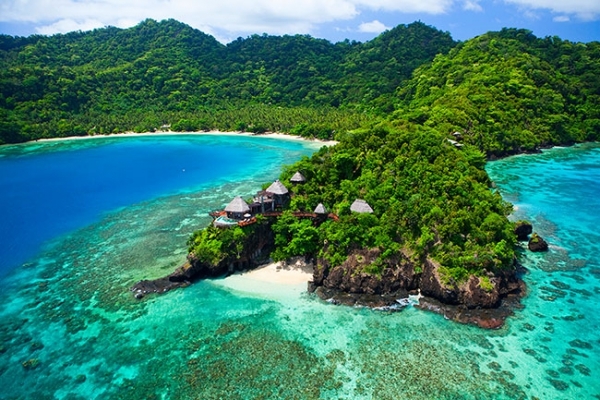 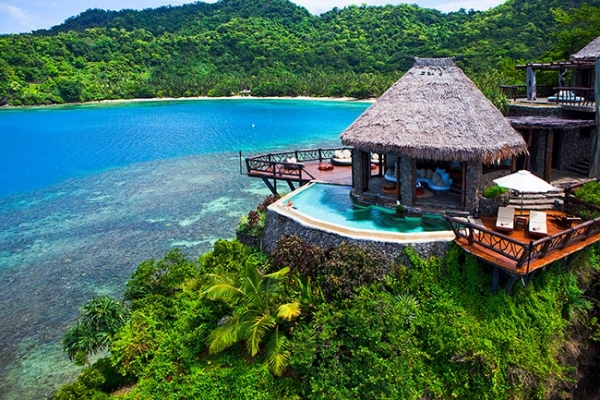 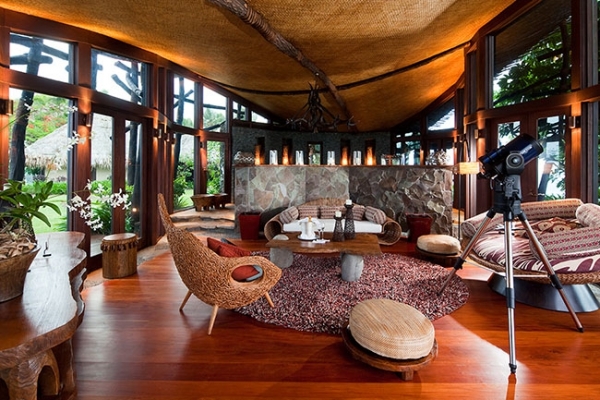 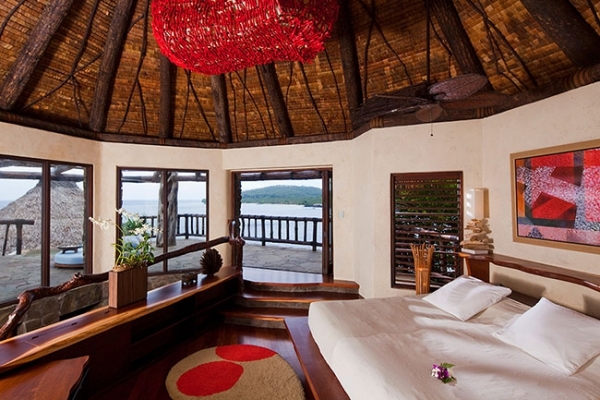 Situated on Laucala, an island in Fiji, this luxury hotel offers guests private villas amongst the greenery of the hills and close to the golden, sandy beaches. 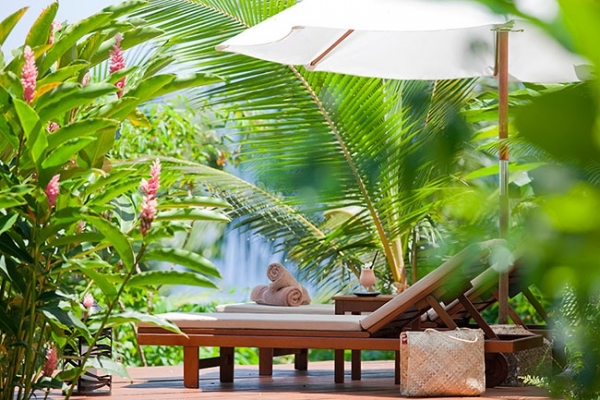 Here you will find nature, peace and the most amazing scenery all rolled together with glorious sunshine. 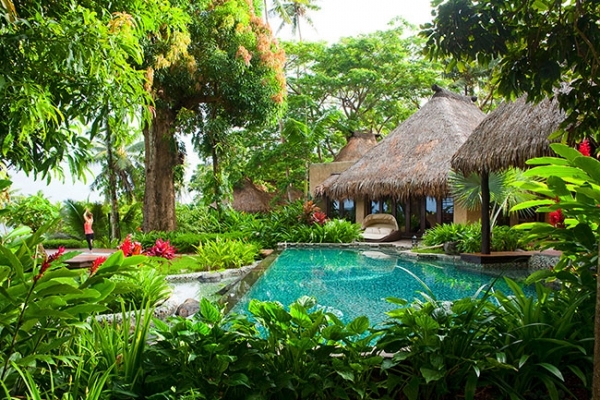 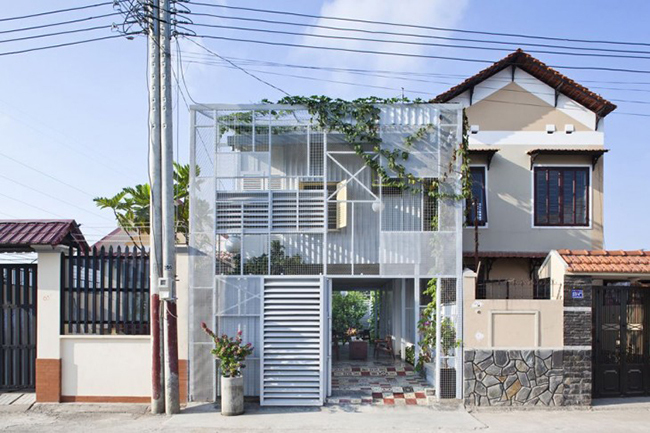 Each villa is private and situated away from any neighbouring buildings. 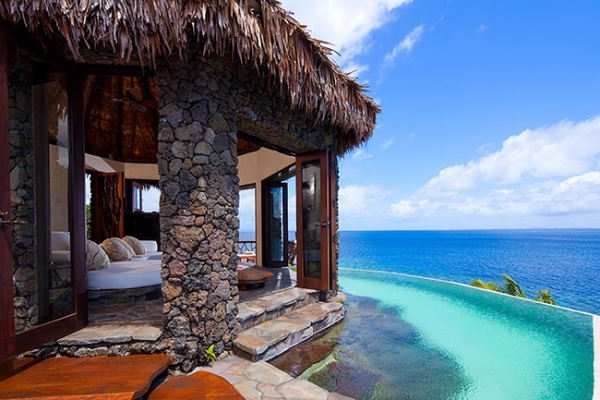 You can swim in your own pool, enjoy basking in the sun, relax in the luxury accommodation or explore the island at your leisure. 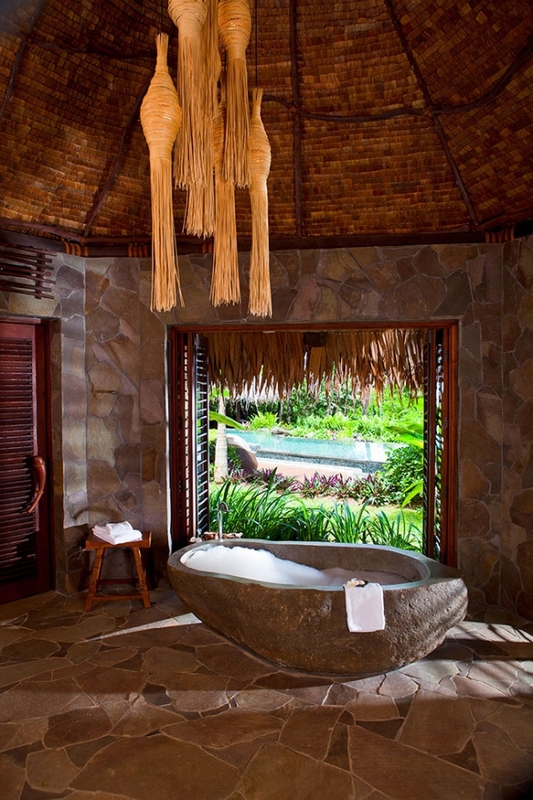 Natural materials have been used to enhance the buildings on this stunning resort – with stone, wood and bamboo in each villa. 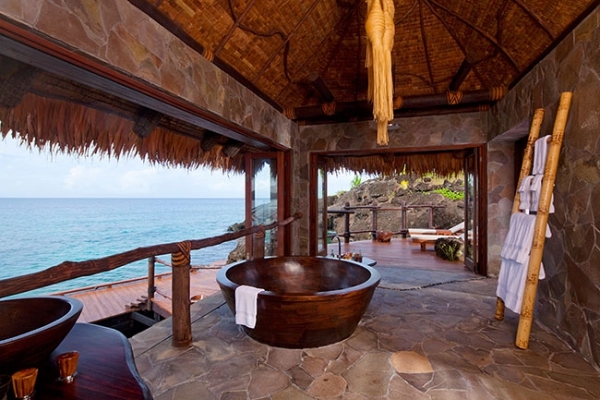 But it’s the special additions that we love such as the large wooden bathtub standing in front of large windows with an ocean view. 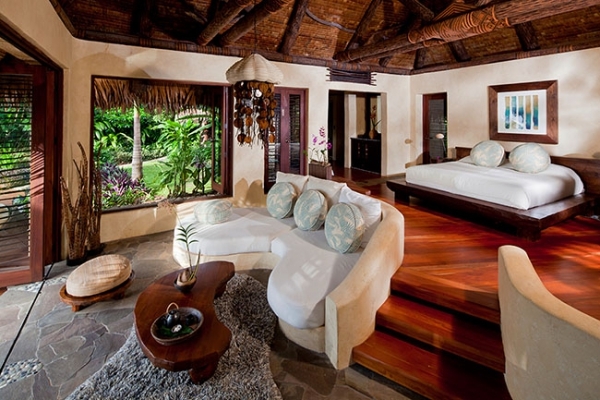 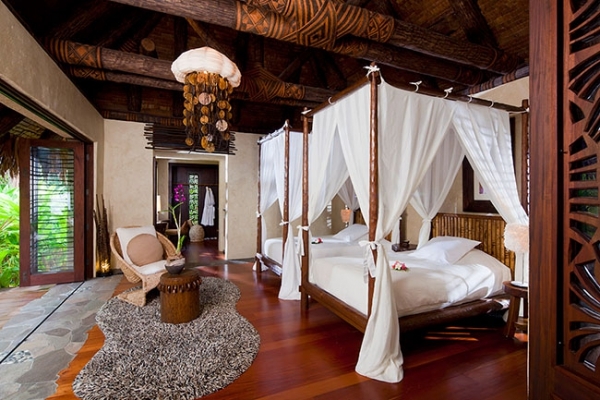 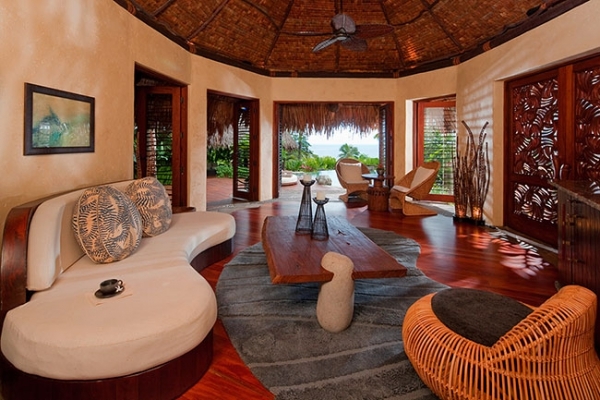 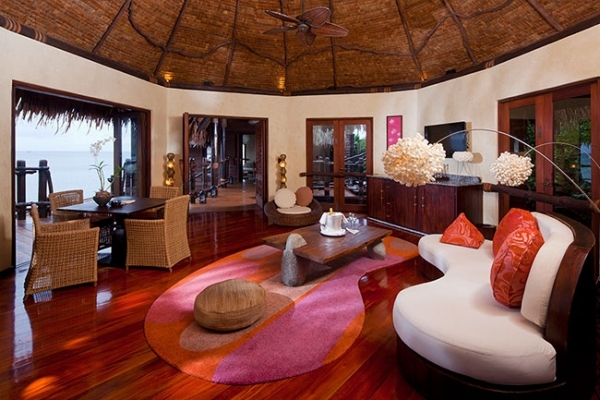 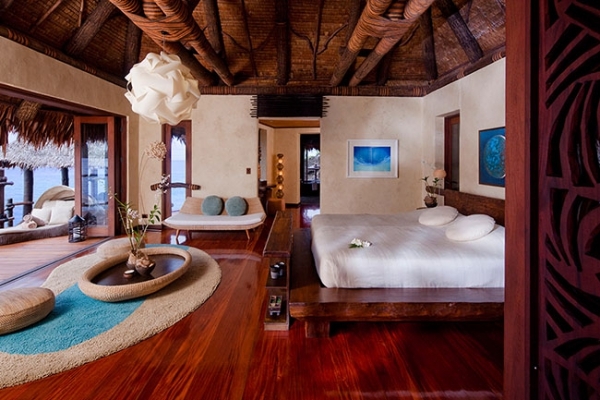 Each room of the villas have been tastefully furnished to guarantee you enjoy your stay at full. 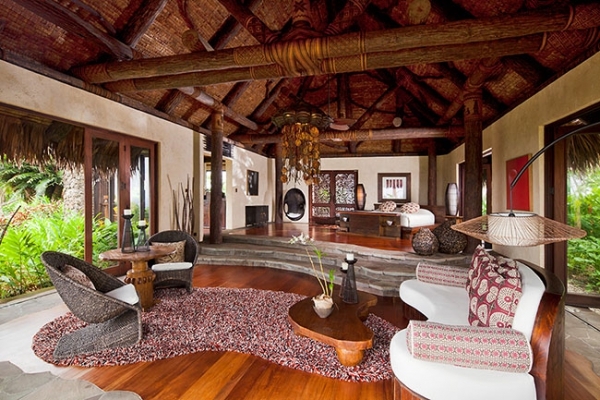 Wooden furniture sits beside patterned fabrics. 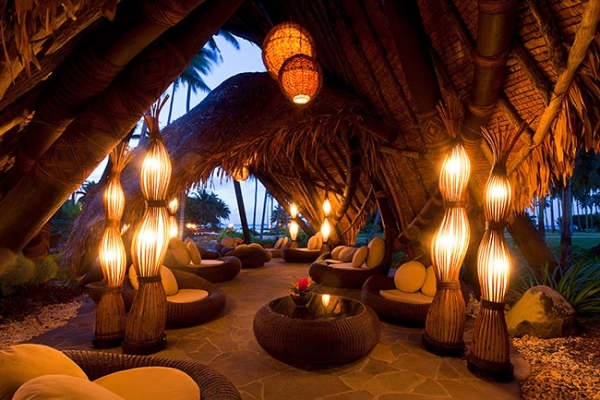 Unusual light fittings adorn the traditional thatched roofs. 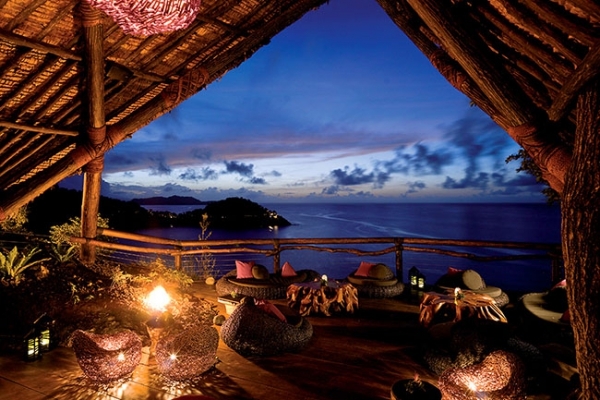 This stunning resort is almost dreamlike and would be our definition of paradise.